The Gist: Democratic debates with Reihan Salam and adoption day. Conservative thinker Reihan Salam points out how Freedom Caucus Republicans are better serving their constituents on this one major issue. 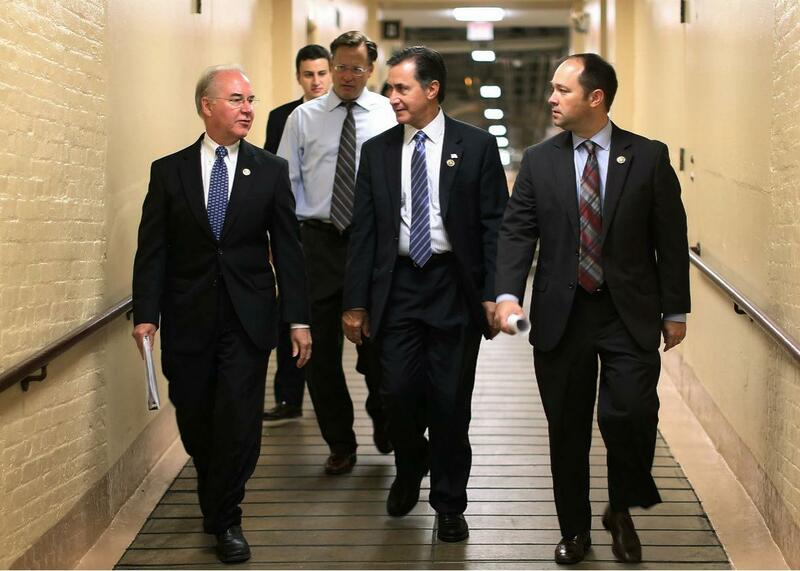 Rep. Tom Price and members of the Freedom Caucus Rep. Dave Brat, Rep. Gary Palmer, and Rep. Marlin Stutzman head for a House Republican caucus meeting in the basement of the U.S. Capitol. Are conservatives making a horrible mistake … in branding? On The Gist, Slate’s Reihan Salam shares his ideas for how the Republican Party could change the conversation to better match their supporters’ priorities. For the Spiel, nurture your pet cause on Adoption Day.